Bathrooms: 1 "1ST F BTH,BSM LAV"
Size: 1,020 sq. 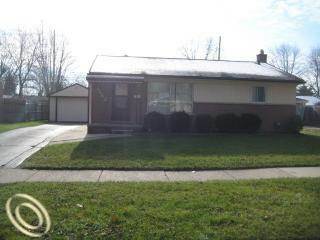 ft. "PRD"
Very nice ranch in well located neighborhood near GM tech center. Sold as-is. Buyer to verify all data including sq. ft./homestead status/taxes. Subject to First Look Initiative until 12/31/11. EMD to be in cert. funds. Offers must include approval/proof of funds.